The Palladio Component Model is implemented using the Eclipse Modeling Framework (EMF). We have implemented an integrated modelling environment (called Palladio-Bench) based on the Eclipse IDE. 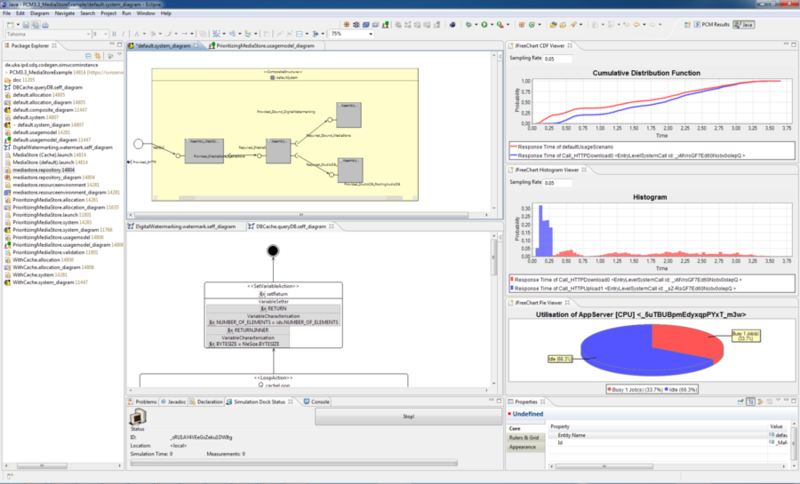 It enables developers to create PCM model instances with graphical editors and derive performance metrics from the models using analytical techniques and simulation. The best way for getting started with the Palladio-Bench is looking through the screencasts and tutorials provided on the webpage. By adding the following code below to your website you will be able to add an install button for Palladio 3.4 for Eclipse 4.2 (Juno).